Wessex Garages is one of the most successful motor dealers groups across South Wales and the South West. With 7 branches covering major brands such as Nissan, Fiat, Kia, Hyundai and Mazda in vibrant towns and cities including Bristol, Cardiff, Newport and Gloucester, we pride ourselves on the quality and reliability of our staff across all of our departments. We are always on the look-out for pro-active, determined and customer-focused individuals to help us achieve our ultimate goal - 100% Satisfaction! As we pride ourselves in offering value for money for our customers, we are bucking the trend and continuing to thrive during an uncertain economic climate and need your help to ensure we continue to deliver an excellent service to all our customers. Browse our careers below and find out more about a particular vacancy by clicking on the link below. 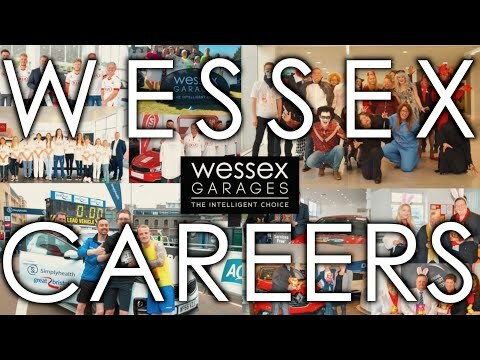 If you find a position that suits your skillset, contact us at careers@wessexgarages.co.uk stating the vacancy you wish to apply for.